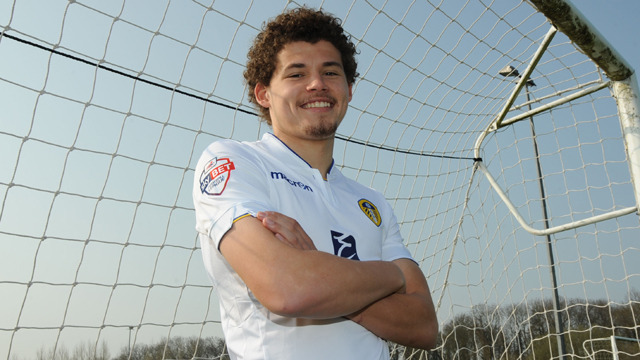 We are pleased to announce that midfielder Kalvin Phillips has agreed a new two-year deal with the club. The 19-year-old was offered new terms earlier this summer and he becomes the latest in a growing list of talented youngsters who have extended their stays at Elland Road. Kalvin, an Academy graduate, joined the club aged 14 and progressed through the ranks at Thorp Arch before signing his first professional deal last summer. He was a regular for the Under-21s during 2014/15 and scored six times in his 23 appearances, including this eye-catching brace at Nottingham Forest and this stunning strike away to Huddersfield Town. Having earned countless rave reviews for his all-action displays in the U21s, Kalvin was soon knocking on the door of the first team and, after featuring as an unused substitute several times, he was eventually handed his senior debut for the Easter Monday visit to Wolves. The youngster impressed in front of the Sky cameras, playing a hand in United’s opening goal, and he maintained his place the following weekend for the visit of Cardiff City which saw him net his first goal for the club and claim the Man of the Match award. Kalvin stayed around the first-team for the remainder of the campaign and will now be hoping to make an impression on new head coach Uwe Rosler when the squad returns for pre-season training later this summer. He joins fellow midfielder Lewis Cook, who also penned a new two-year deal last month, as well as Tyler Denton, Jake Skelton, Luke Parkin and Alex Purver in agreeing to commit to the club.